This page contains a translation into English of some of the song lyrics to the song "Wah Wah Adanou Adanou". This song was originally made popular by Kuwaiti singer Abdel Muhsen Mhanna, but at this time its popularity remained confined to the Persian Gulf region due to the fact that it was recorded in the Khaleegy dialect. 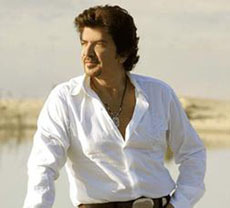 Later, the Lebanese singer Walid Toufic recorded it, and his version became popular throughout the Arabic-speaking world. Also included is the transliteration of the Arabic lyrics into the Roman alphabet so you can attempt to sing along if you like. Amoot bi hobbak ana I'm dying for your love for me. Wah wah aghilak aghilak. I come to you. Wah wah ana aghilak. I come to you. Shosi banadeelak. Longing, I call to you. Wah hammi bash kilak Worries, I tell you about them. Wal ein sahrana. My eye stays awake all night. Wah wah bi ourbak. Close to you. Wah Wah bi bouhdak. Far away from you. Hayaati winchi ghali feek. My life, I'm kept busy with thoughts of you. Baheb wa hobbak. My love and your love. Birrouh bifdeek. With the soul. Ya leyt yaleytak tirjaali I wish, I wish that you would come back to me. Wah attallah yehdeek. Show you the way. This translation appears on this web site courtesy of Yasmina Ramzy of Arabesque Academy of Toronto, Canada. Yasmina Ramzy has been performing, teaching, and choreographing Middle Eastern dance since 1981. She has toured extensively throughout Egypt, Jordan, Syria, Lebanon, Greece, England, Mexico, the United States, and Canada as a soloist and with her company, sometimes performing for royalty and heads of state in many of these countries. She is the Artistic Director of Arabesque Academy, School of Culture-Specific Dance and the Arabesque Dance Company. Although Yasmina has dedicated her life to Middle Eastern dance, she also produces Gypsy and Dancenet which are culture-specific dance and music events with an educational slant. She is also a member of Canadian Alliance of Dance Artists and serves on the board of directors for Dance Ontario.